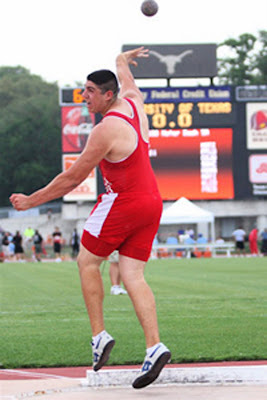 Stephen Saenz who recently signed a national letter of intent with Auburn University, holds the Valley all time records in shot put (71 ½ ) and discus (204 feet). His indoor shot put throw of 71 ½ inch ranks 3rd all-time by a high school athlete. He is a state champion in the shot put, and bronze medalist in the discus, top duel shot put discus thrower in the nation and was a number one recruit. Stephen has set records in both the shot and discus in every meet he has competed in. He has been named Track and Field MVP for the All Decade Team and currently holds the #1 Shot-Putter in the Nation. His latest accomplishment was winning the discus competition and shot put with a best throw in the District 30-5A Track & Field meet in Donna, TX. Stephen has also been featured in several articles such as “dyStat.com, rivalshigh.com, ESPN-RISE Athlete of the Week (January 19, 2009). Saenz has demonstrated that he is a well rounded individual through his various accolades in academics as well. He ranks in the top five percent of his class, is a member of the National Honor Society, Texas Scholar, Distinguished Achievement Program (DAP). His mild demeanor and great sense of humor together with his humble personality make him a very personable and popular individual. His father was a driving force in introducing him to field events. Rio Grande City CISD Administration, Board of Trustees, Teachers and Staff are very proud of Stephen and look forward to him breaking even more records in the future. (Submitted by RGCCISD).